Not a huge update this week for me. We received our kits from the Trenchworx Kickstarter campaign last week, from which I received a pair of M18 Hellcat tank destroyers. I reviewed the kits in an article on Sunday. I’ve got a tank-hunter bundle on the way from Warlord in which I’ll be getting a pair of their plastic Hellcat kits as well as an M20 Scout Car (also buildable as a Greyhound, haven’t decided yet which way I’m going) to finish out the Hellcat platoon. 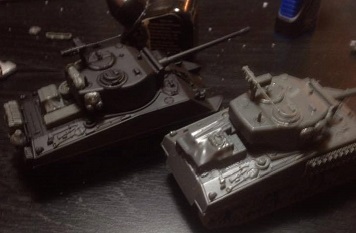 Additionally, I added stowage to a pair of my M4 Shermans and built the third of my plastic Warlord M10 Wolverine tank destroyers. 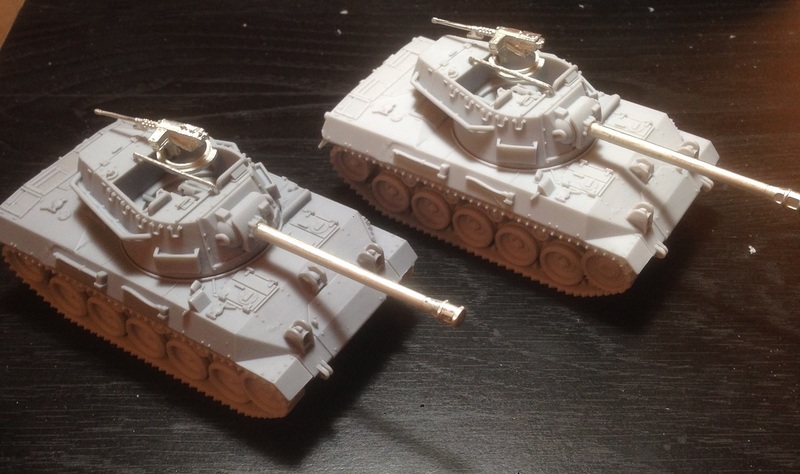 This week I intend to build the third of my 76mm-armed Shermans from Rubicon, and then on Saturday Andrew and I have a practice team game lined up to test out our current theoretical Partisan list for Adepticon Bolt Action Doubles next year. Assuming it plays the way we expect it to, we’ll be ordering up a horde of the Partiboys and getting to work on them quickly. Andrew’s already started working on the models he has on hand to get used to the painting schemes, you can see those over on the Chicago Dice Instagram where he’s been posting a few progress shots.